Our goal is to connect people with the best local experts. We scored plumbers on more than 25 variables across five categories, and analysed the results to give you a hand-picked list of the best plumbers in Citrus Heights, CA. American River Plumbing is a Citrus Heights plumbing company backed by over 20 years of experience in the field. Customers have access to services for fixture replacements and repairs, hot water heater installs and repairs, basic plumbing repairs, remodeling projects, sewer and drain cleaning, toilet repairs, sewer line replacements and repairs, water and gas leak detection, and water line pipe repairs to reduce water usage and costs. The licensed company works with both residential and commercial customers, offers free plumbing estimates and a 100% satisfaction guarantee, and is independently owned and operated. American River Plumbing is known for honest communication, reliable and friendly crews, and top-quality plumbing results and can also work with homeowner associations as well as property management companies. Dawson Plumbing has been helping residents and business owners in Citrus Heights, California and the surrounding areas by providing cost-effective plumbing solutions for over twenty-five years. They handle all kinds of service requests, whether small or big and provide upfront pricing before they start the work. Their services include repiping, bathroom and kitchen remodeling, drain cleaning, and repair, replacement, and installation of toilets, sewer lines, garbage disposals, dishwashers, and water softeners. Their service technicians adhere to a high standard of workmanship and guarantee one hundred percent customer satisfaction in every project they handle. They offer discounts to senior customers. Dawson Plumbing is an A+ rated business with the Better Business Bureau and has been on Angie’s List for eight years. Gabe's Plumbing Services serves the Sacramento Area, where it provides its customers with costing before any work begins. The technicians here are all background checked, and they are experts with water heaters, gas piping, bathroom remodels, water leaks, and sewer and drain clogs. The company also undertakes bathroom remodeling, for which it will beat any written estimate by 10%. Customers benefit from free estimates, and they are encouraged to take advantage of the firm's emergency response service, which is available 24 hours a day, seven days a week, and 365 days a year. Gabe's Plumbing Services has a strong commitment to delivering an affordable service, and a variety of discounts and special prices are available as coupons on its website. Pro-Plumbing serves the Citrus Heights community with its plumbing needs. The locally owned and operated business has a reputation for timely arrivals and project completions, respectful and qualified plumbers, free estimates, and personalized service, and clients hire the full-service team for thorough evaluations and honest assessments of plumbing systems. Company crews can handle toilet repairs and replacements, drain cleaning and clog removal, backwater valves, and proper hot water heater installations for energy savings and optimal performance. Pro-Plumbing is fully licensed and insured, the owner is at the worksite for every job, and crews use the latest plumbing equipment and tools for accurate, professional results. Interested parties can view photos of some of the group's work on its site as well. Robinson’s Plumbing provides customers in the Citrus Heights-area with peace of mind. The family-owned and operated plumbing business commits to delivering the highest quality services that enhance or restore the function of plumbing systems. Homes and businesses benefit from the company’s expertise and more than 26 years of experience solving sewer and drain problems of all sizes. Robinson’s Plumbing ensures quality by maintaining the proper licensure and bonding to perform services in the safest, most efficient manner possible. Customers can depend on the plumbing professionals to maintain skilled, experienced staff with the know-how to handle plumbing repairs and leaks of all kinds both above and below ground. The dedicated team stays abreast of all code and safety regulations to protect customers and property. Located in North Highlands, California, Ross Clift Plumbing is the go-to contractor of households and businesses looking for high-quality plumbing services that do not drain bank accounts. No matter how big or small the project is, they are always ready to commit their resources and expertise to complete the project. They do commercial plumbing, luxury home plumbing, and new constructions, among others. This company takes pride in their team of skilled plumbers, who value customer satisfaction and long-term partnership founded on trust. Hence, customers can always look forward to a high level of professionalism, individualized services, and close working relationship from start to completion. With Ross Clift Plumbing, estimates are always free, and services are available at affordable rates. RWJ Plumbing is a premier plumbing company, known for their 24-hour plumbing repair emergency services. Rob, this company’s owner, has more than 18 years of work experience in plumbing and knows how to handle new construction and repairs. Their professional team provides quality work for residential and commercial clients. In addition to providing emergency services, the company offers free estimates so customers can have a clearer picture of what to expect from their work. They also offer discounts for seniors and military service workers. Super Mario Plumbing is Sacramento's premier plumbing company known for providing outstanding services at reasonable prices. Their team of highly qualified technicians has the experience and the skills to help customers with general plumbing installations and repairs, sewer line inspections and repairs, tankless water heater installations and maintenance, and complete house repiping. They are also known experts in the areas of in-floor heating, water treatment, and garbage disposals. To this company, customer satisfaction is of utmost importance; this is why they strive to provide the highest quality workmanship, utilize the latest technology, and go the extra mile whenever necessary. Furthermore, customers can rest assured knowing that they are fully licensed, bonded, and insured. This award-winning plumbing business offers round-the-clock services for emergency cases. V.O. Plumbing is a plumbing contractor that's been serving the Sacramento area since 2004. Their service area includes downtown Sacramento, West Sacramento, Citrus Heights, Elk Grove, Folsom, Natomas, Rancho Cordova, Roseville, and Rocklin. 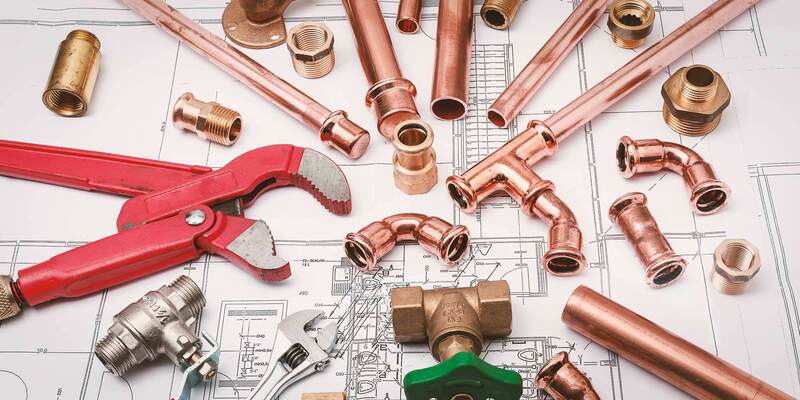 They specialize in all phases of commercial and residential plumbing including additions and remodeling, fixture installation and relocation, water heaters, repipes, gas line installation and repair, ice makers, and garbage disposals. Their product partners include recognized names like Kohler, Toto, American Standard, Brizo, Delta, and Moen. Customers praise them for their ability to handle situations as they arise, their professionalism, and their reasonable prices. V.O. Plumbing is family owned and operated, fully licensed, insured, and bonded.